I finished another 8 books besides these but there were a couple of duds and another couple I haven’t found time to review yet. I’ve been a bit disgruntled and distracted lately so at present am after lighter reading. I plucked the first title in a new cosy series from my TBR pile (Riley Adams’ Delicious and Suspicious) this morning. After that I might tackle one of the political titles I added to my TBR pile after asking for recommendations from you all on what to read while #ausvotes. I have Margaret Truman’s Murder at the Kennedy Center (thanks Margot) which looks like it might be light and political at the same time. And then I’ll need to pay attention to my two remaining challenges for the year. I’m going to read James Thompson’s Snow Angels for the Scandinavian Reading Challenge (it’s set in Finland) and Charolotte Jay’s Beat Not The Bones (set in Papua New Guinea) for the Global Reading Challenge. And all the while I’ll be plodding through R J Ellory’s A Simple Act of Violence in audio format. The book won the Theakstons Old Peculier Crime Novel of the Year Award in July this year but at the moment I am struggling to understand why. In audio format the book is 18 hours long and feels every minute of it. I have so far (hour 7+) found it slow going and not terribly compelling. About the best I can say is that it “will do” as accompaniment to the dullest of my housework activities. Is the amount I spent on all the books I read (including DNFs) in the first 6 months of this year. I only bought 58 of the 85 books but if I average the cost out across all the books read my hobby has cost me an average of $8.68 per book or roughly $1.24 per hour of reading entertainment (I’ve used an average of 7 hours reading time per book). which is a rough estimate of the amount I would have spent if I’d bought all 58 purchased books in Australian bookshops. It’s actually a quite conservative estimate of $33 per book because while I might have scored the odd $24 bargain I would have paid $45-50 per audio book (there are 28 of those) and would probably have incurred some hefty special order fees for some of the translated fiction I like to read (one book I ordered from Book Depository for $9.18 would have cost me $53 to ‘special order’ locally). That’s why I don’t shop in Australian bookstores. This entry was posted in Adrian Hyland (Aus), books of the month, Camilla Lackberg, Deon Meyer, Domingo Villar, Henning Mankell, Ian Rankin, Teresa Solana. Bookmark the permalink. Its incredibly expensive to shop in Australia isn’t it. I purchased 3 new books at a bookshop the other day and spent $80! $80! I nearly had a heart attack. Okay, you convinced me to order “Thirteen Hours,” from the Book Depository. (It’s not yet at a local library or bookstore where I live.) I feel like I can’t make it through this month without reading it. I will try to find the other two books you recommend here. And yes! 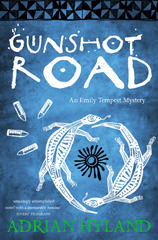 I agree about “Gunshot Road,” which I savored and did not read quickly. It was like eating a fine dessert, which was well prepared with delicious ingredients. 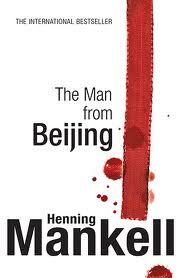 I liked “The Man from Beijing.” I tried to read Lackberg’s “The Ice Princess,” and could not do it. A New York Times Book Reviewer said that Swedish citizenship does not automatically a writer make, after she read it. Ouch! But I agree with that. My philosophy is that there are too many good books around that need reading and to move on. Your book prices over there are astounding. Here, the usual paperback is around $14 plus tax. Hardcovers are too expensive, $25-$30 with tax included, not in my budget. Finding the Book Depository has been a real find for me and it sounds like for you and so many other readers. My problem now is sticking to a budget and not getting carried away, which I realize is a universal problem. I began my August reading vacation early by reading Camilleri’s “August Heat,” (I agree with you on the ending), right after a good Michael Connelly. I’m eagerly planning to start “The Janus Stone,” today, although if I do, needed tasks will fly out the window. 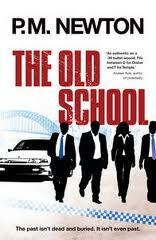 @Kathy I enjoyed the first Camilla Lackberg but it is certainly a lighter-style book. I agree though, finding Book Depository has saved me from bankruptcy – or worse, having no good books to read. My only question is: Do you have to buy your books? Isn’t there a decent library system in your city, even if you have to wait for newer books? Or friends to share books with (and purchases, too)? Reading can be an expensive hobby, but I’m not quitting. 😉 I too usually buy or borrow more than I can read. Oh well. I’ve also got Thirteen Hours on my list but am adding Gunshot Road due to your persistence in recommending it! I used to spend around that first amount when I’m living the east side of the world. Now that I am in the UK, I borrow from the Library and spend about 50p to £1 on used books which I like to keep. I have been stacking up books faster more than I could read and don’t want to hoard it. But really Bernadette, there are bigger vices out there, anything that makes you happy it can’t be bad. I can’t wait to hear about what you think about Mankell’s new book and also Ian Rankin’s complaint and if Rankin is good I should start reading some (pending for your recommendations), because the used bookstores are just full of Rankin’s books! That’s why I don’t buy from Australian bookstores either. Occasionally I will buy something from Borders if I have to have it, or from Kmart or Woolies if it is a popular title but for the most part, it is Book Depository for me. A few weeks ago now, I did a post where I did a price comparison on one particular book and the difference was pretty shocking. @Kathy – I don’t buy all my books and use the library where possible. But these days I want to read what I want to read rather than whatever is available and thanks to Book Depository and circumstances I can afford to do it. I use 2 different libraries but still a lot of titles I want to read will never be available at either one. @Karen I hope you enjoy Gunshot Road – I think you will. Yes, I think I’m getting that “need-to-get-a-good book” fever. What the library has isn’t sufficient and that system gets forever to buy non-U.S. books and if they do, they buy one and put it as a noncirculating book(!) I don’t get that. They don’t have “Thirteen Hours” and with “Badfellas”–there’s one copy noncirculating. I was trying to read all on the Daggers’ shortlist before the winner was announced but only read three. So I’ll have to buy two and am waiting for “The Darkest Room.” And, annoyingly, they’ve taken a lot of books out of circulation (including some by Australian authors I’d like to read) and put one copy at the main library branch–but noncirculating, which is impossible for most people. Anyway, friends gave me funds toward a book fund for a birthday and it’s going to the Book Depository and a local mystery bookstore. I always add books from your blog to my tbr pile! Seriously, I agree you have to read Diamond Dove (aka Moonlight Downs) first, but I think Gunshot Road is a superior book. Of your “read nexts” I have read four of the pictured ones (not the Newton). 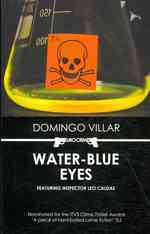 I adored Water Blue Eyes which is very short and unpretentious. Man from Bejing is long and a bit rambling, I loved 80 per cent of it but found some parts of the plot a bit extraneous. Really glad I read it though. 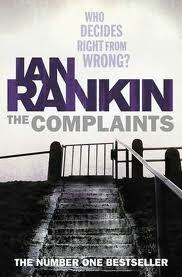 I was very pleasantly surprised by The Complaints, as I did not think much of Doors Open (the first post-Rebus novel). I feel that the author is really interested in this book, whereas I think he’d got a bit bored with Rebus and was churning them out a bit towards the end. The Preacher == I liked some of it but I did not like the “Preacher” segments. I look forward to your take on it as it seems to be one of those love it or hate it books, from other reviews (I’ve read some utterly adoring ones and some pretty much hating it ones). PS Sorry, scratch my comments about The Preacher, I realise I got muddled with The Stonecutter (the next in the series, i.e. for Preacher read Stonecutter). I rather liked The Preacher…more so than The Stonecutter and not as much as The Ice Princess. But close. A general question: Has anyone read Vanda Symon’s books? I was looking at the Book Depository and Amazon and they have “Containment.” Have you read it? Am trying to figure out budgets and the library does not have her books. Also, I saw a suggestion on a book based in Papua, New Guinea. Can that be repeated? But there are so many great suggestions here to search for.